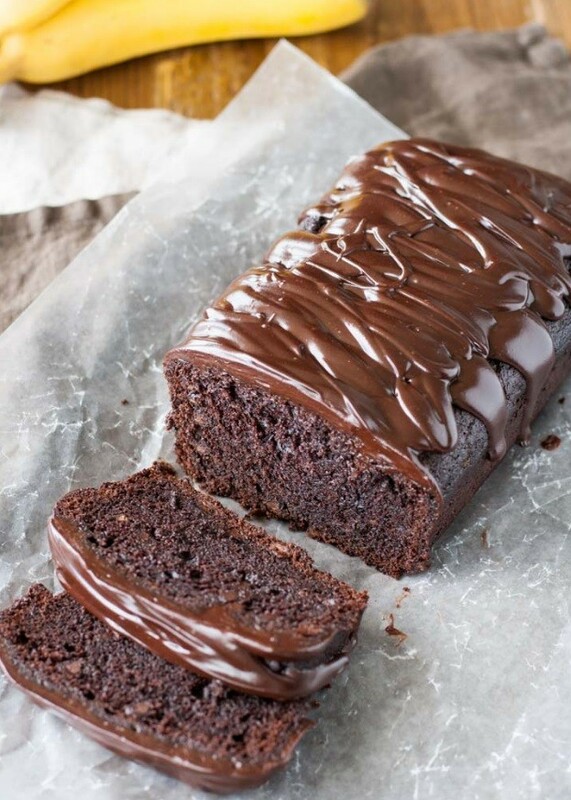 Quick cake chocolate banana - it's a bomb! If you need a recipe for "celebratory" cake, which can be prepared in a jiffy without any problems from the simplest ingredients, here it is - a quick muffin chocolate-banana. Why I called cupcake "holiday"? Despite the ease of cooking, dessert get a truly magical: the taste is very rich, full-bodied. Consistency moderately moist, and if stored properly cupcake "revealed" the next day even brighter, real chocolate bomb! Chocoholic will appreciate, I'm sure! I can not call myself a fan of strong banana cakes, but this combination of chocolate-banana I conquered! By the way, this rapid cupcake I like the fact that bananas can be added as the pieces, as well as in the form of puree as you like (in both cases, I advise you to use very ripe bananas, you can even "tired" :). *Use cocoa powder of the highest quality (preferably imported), I assure you, it affects directly how rich taste will have the finished product. In a large bowl sift all dry ingredients (except for sugar! ), Whisk to mix them. In a separate bowl whisk a couple of minutes the sugar, egg, butter until fluffy, add the mashed banana (pre-crushed using a blender) and mix until uniform. Yes, if you decide to add pieces of banana, you can enter them into the dough in the last phase, after the unification of dry and liquid ingredients. To connect the two mixtures, stir to avoid lumps. Cake pan lay a parchment, to shift the dough and bake in a preheated oven for about degrees 180 1 hours (check the readiness of a wooden stick). Ready to take out the cake from the mold, cool down (preferably on the grill). Serve immediately as a little cool. Do you want life hacking? In my opinion, a quick muffin much juicier and tastier the next day. That he "opened", and the taste has become more saturated, wrap it up (after full cooling) in plastic wrap or place in a container with a tight fitting lid - the next day will see the difference! And on this same recipe can be baked wonderful cupcakes and even unusual banana chocolate biscuit cake.